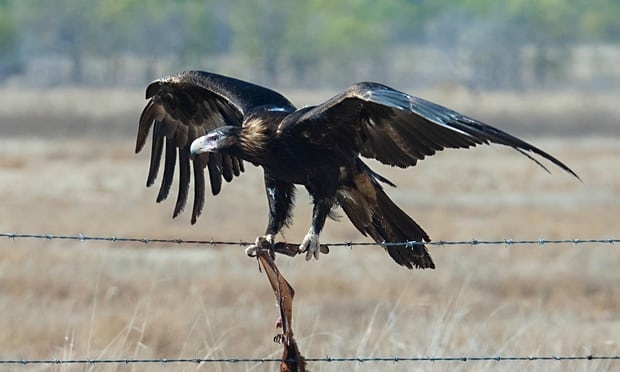 AKIPRESS.COM - More than 100 wedge-tailed eagles have been found on a farm in eastern Victoria, Australia prompting a criminal investigation, The Guardianreported. Officers from the Department of Environment, Land, Water and Planning (DELWP) found the carcasses on a property at Tubbut, which is on the edge of the Snowy River national park near the New South Wales border in East Gippsland. Guardian Australia understands that the eagles are alleged to have been poisoned. Four other protected species were also allegedly killed. The penalty for deliberately killing the animals, which are a protected species under the Victorian Wildlife Act, is a fine of up to $7,928.50 or six months’ imprisonment. An additional penalty of $792.85 is applicable for each additional bird killed, which could push the maximum fine in this case to more than $90,000.